Winter Skin Care? Have you been noticing what has the cold weather resulted in? Have you been noticing your skin being dry even if you normally have oily skin? The cold weather does not weaken our immune system, but it especially weakens our skin. So maybe your skin treatment has consisted of a simple wash and dry procedure, but this is the period that most of requires your undivided attention when it comes to your skin. Luckily, you are not alone. We are here, and we want to share everything that we know regarding the required skin care treatment for your skin this winter. If you just use the following skin care tips, then you can forget all about the additional dryness or unhealthy look of your skin! The ultimate skin tips for this winter! Getting help from a professional regarding your skin condition is one thing. But there are a lot of things that you can do on your own. 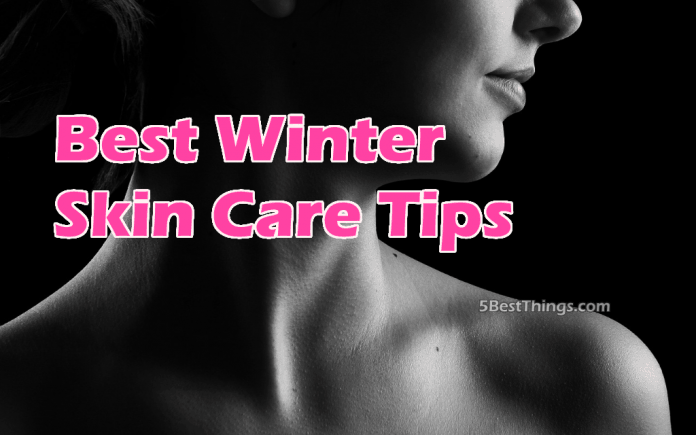 These tips are for those of you who are currently having some difficulties regarding your skin condition this winter. All that you have to is make a little effort when it comes to taking care of your skin, and these tips are going to guide you through that process. Avoid the hot showers – We already mentioned the relation between the hot showers and the additional dryness of the skin. This is exactly why you have to make an effort to avoid them and use lukewarm water when it comes to showering and bathing. The moisturizer is your new best friend – Do not forget to moisturize your skin on a daily basis. Moisturizing is especially efficient when done right after your shower and bath. Make things easier for yourself and leave your favorite moisturizer in your bathroom. That way it will be there to remind you not to forget about the need to moisturize your skin! Use sunscreen – Just because it is winter it does not mean that the sunny days are over. And when you do see the sun, do not leave out its importance. Winter sun is capable of damaging your skin as the summer sun is. Use sunscreen before you exposes yourself to the sun. This is especially important when you are going for a hike during the winter. Protect your hands – The skin on your hands is very delicate, even more, delicate than the skin on some other body parts. Remember to apply moisturizer each night and every time before you put on your gloves. That is right – your gloves need to become an essential during the winter. Make sure that you are drinking enough water – Because your skin is extra dry during the winter time, the best way to fight the extra dryness is to hydrate. And what is the best way to hydrate your body than through water? Drink the recommended 2 liters per day to make sure that your body is properly hydrated. Make your own face masks – Avoid putting all kinds of chemicals to your skin and try to make a healthy skin mask of whose content you will be fully aware of. A lot of the ingredients that you can already find in your kitchen – olive oil, honey, coconut oil, avocado, yogurt and many others. Find a face mask that works for you and takes the time to take care of your skin. Do not forget about your lips – Who like chapped lips? They are not good for anything, and especially not for kissing! Choose your favorite lip balm and apply it every day. Plus, if it is in your favorite color you will fight that dull complexion that the winter brings! Be ready to deal with bags under eyes, extra dryness and extra damage to your skin this winter. But, not to worry, nobody says that you need to fight this fight alone. Using a quality skin care product like Revita Youth is always welcomed; however, we believe that using our tips will make things easier for you. All of these tips require a bit of a change in your lifestyle and a lot of patience. After all, good results do not happen overnight!